Never said I was quitting the fandom, just going on hiatus for a while... that's still the case pretty much since I really need to force myself to improve instead of trying to post finished pics all the time. WELCOME BACK ! And really good pic ! Yay! I'm glad to see you back sakura! 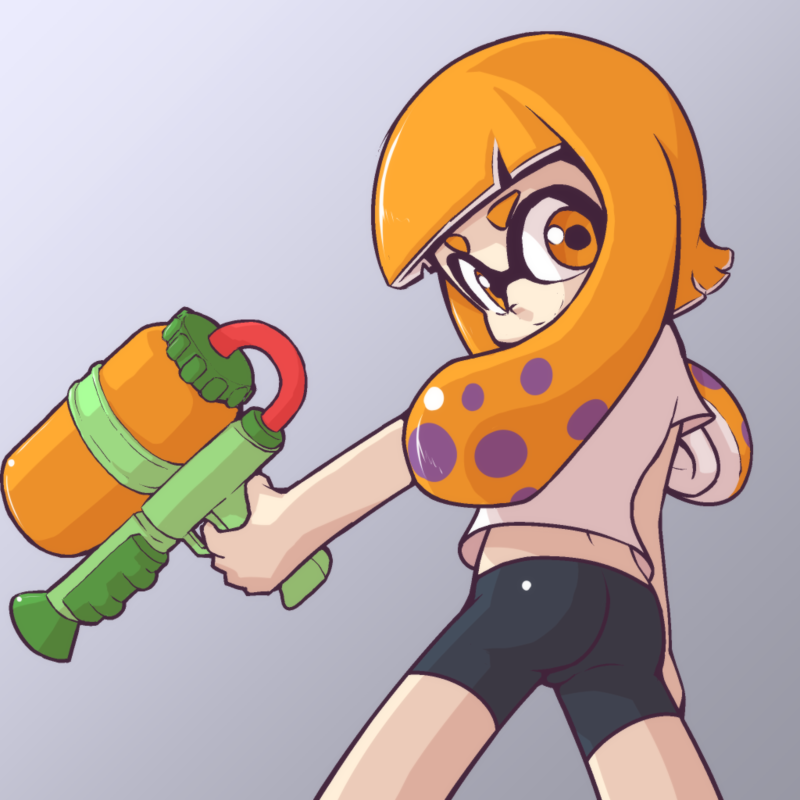 That orange "haired" squid girl is probably my favorite thing that has come out of Nintendo ever. And I like Nintendo too. Very nice piece of art. I like that pose and that look in her eyes. She knows what I'm thinking. Squids are a miracle of the universe!